Dr. Tanya J. Hagen is an Assistant Professor of Medicine and Orthopedics at the UPMC Center for Sports Medicine, a leading health care, wellness and education facility specializing in sports medicine, musculoskeletal injury care, and clinical injury consultations. 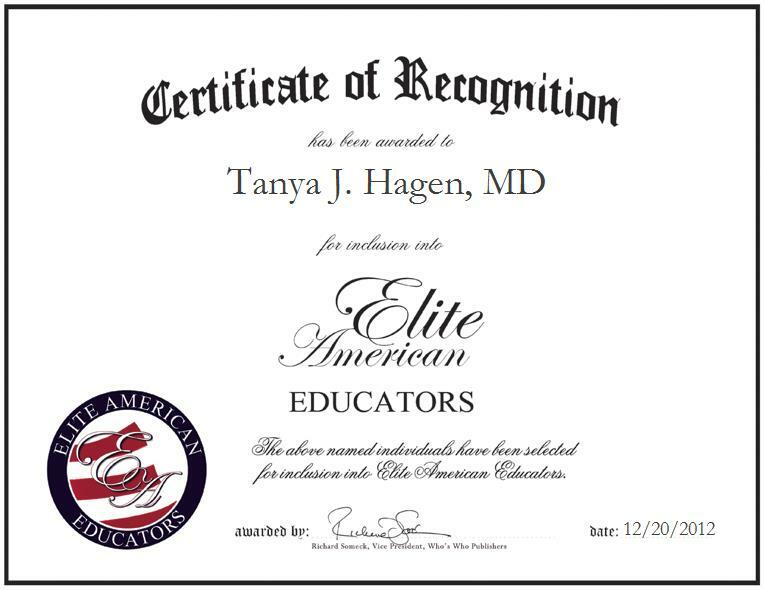 At her current post, Dr. Hagen offers one-on-one interaction with patients, students or VIPS, a compassionate ear, and her sophisticated interpersonal skills, as she is committed to accurately communicating with her patients and those with whom she works. Dr. Hagen has practiced sports medicine for 11 years, starting as the first female sports medicine specialist at the University of Pittsburgh Medical center in 2012. She has directed the sports medicine fellowship in 2002, in addition to having a busy clinical practice for musculoskeleton injuries and being on the college faculty working with fellows, residents and medical students. A firm believer in helping the less fortunate, she has volunteered her medical services in Africa. She speaks at various events at Harvard and at national coaches symposiums, and has authored book chapters. In addition, she is fluent in Portuguese. She has been the director of the Sports Medicine Fellowship at UPMC/Shadyside since 2005. She was recently appointed as Associate Team Physician for the NHL’s Pittsburgh Penguins.